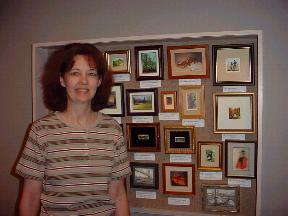 These two paintings were selected to be a part of the World Federation of Miniaturists Exhibition which was held June 18 thru July 12 of 2004 at the Smithsonian in Washington D.C. 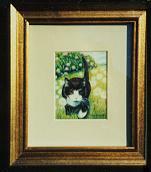 The paintings are 1 3/4 inches by 2 1/4 inches, oil paint on ivorine. Here are links to some of my favorite miniature websites. Copyright © 2002-current year Susan Kern. All rights reserved.